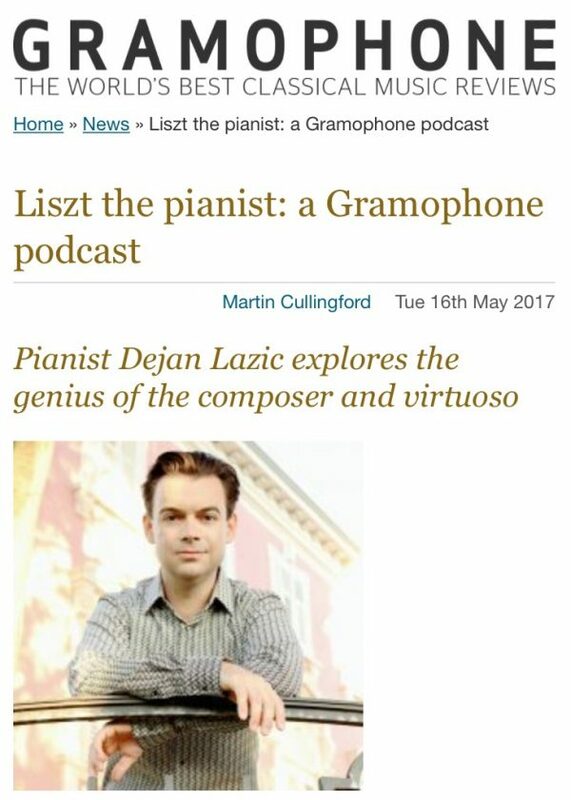 “In this Gramophone podcast, pianist Dejan Lazić explores the genius of Liszt, from his legacy as a virtuoso soloist to his extraordinary transcriptions of the works of Wagner and Mozart among others. Dejan Lazić; on this, his first album for ONYX, pays tribute to a composer and his legacy as a piano virtuoso, organist, improviser, arranger, conductor, teacher, author, philanthropist and traveller. Liszt lived life to the full, and this recital captures that love of life, his genius as a pianist and composer, a traveller with a restless and curious mind. Liszt’s respect for the music of other composers is to be found in his arrangements for piano of orchestral, operatic and other vocal works. From Wagner’s operas to Schubert Lieder via Beethoven Symphonies, his deep love for the music is apparent and such arrangements gave this music a wider audience in both the salons and domestic settings that lives on today. “Embarking on a recording project like this obviously required a substantial amount of preparation time. But once the date has come it was of a tremendous importance to capture and to honour the spontaneity of Liszt’s versatile, eclectic, and revolutionary genius”, writes Dejan in his introduction to the recital, captured at a live performance at Hohenhems, and one further day in studio conditions.